I always have known that i shouldn’t be so drawn to miniature cosmetics when full sized is virtually the same price but , I am. I can’t help it! there’s something about holding a miniature mouthwash in your hands and feeling so smug walking through security, watching people with the large, ugly bottles get stopped. However, there’s something not so smug about pulling out your mini body wash when arriving on your two week holiday. Fortunately I have every right to be smug, I am not taking a checked in bag on my holiday and although there is a million 7/11’s located around our hotel, i can still mouthwash myself on the plane and others can’t, so yes everything i bought was worth it. Yes, you’re limited to a few hair washes but who cares? mini things are adorable and i finally have so many that i can make a blog post about them all. *Ticked off my bucket list*. I bought a lot, actually my mum bought me a lot. She’s just as bad as me at buying small travel things and together, yes we did get way too carried away. I was planning on filling up my boyfriends clear plastic bag with all of the mini’s but now i have so many i may need to sacrifice a teeny bit of room in mine. Next is this leave-in conditioner which is of course an essential. I plan on doing a lot of sea related activities and what kind of person would i be if i didn’t buy this cute leave in spray (made with sea silk extract?!) please! 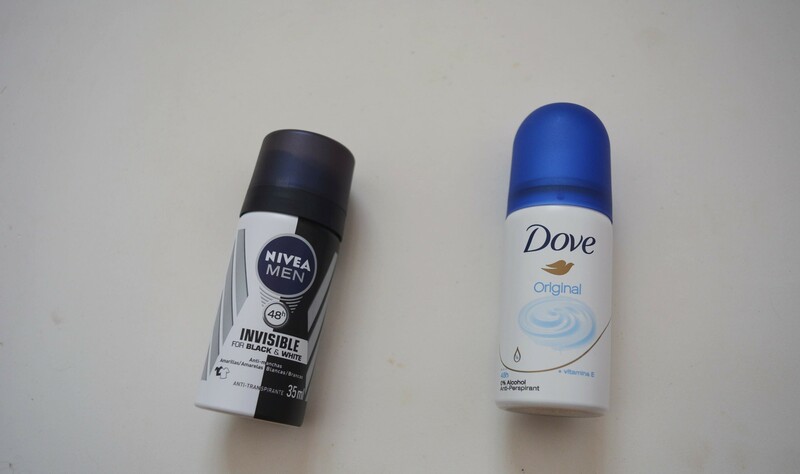 Sharing is not caring so i did buy my boyfriend his own antiperspirant. Burning is like second nature to me and so i thought i should better be prepared. I know these are for kids but my face needs it (I spy a lot of spots). If you know me or my blog you will know how much i love this moisturizer. I almost died in excitement finding it so perfectly little. I will probably only take one of these with me and save the other for a trip away in December. 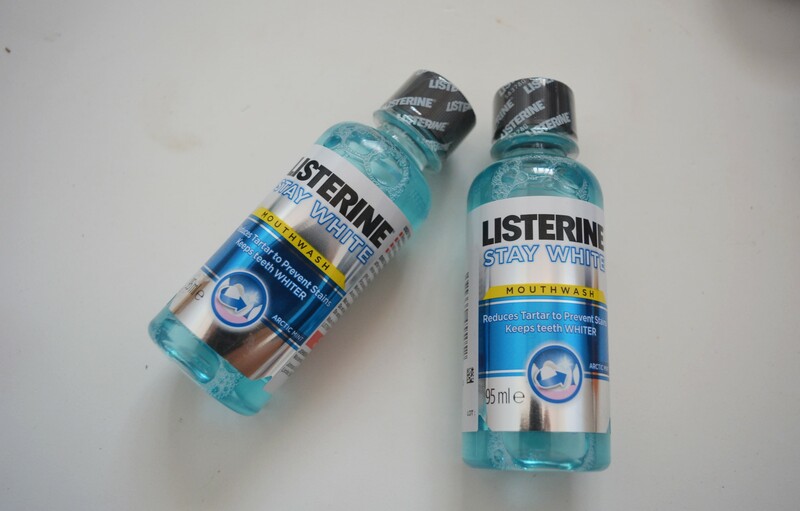 I think they are just so useful and i have never really seen mini mouthwashes before. 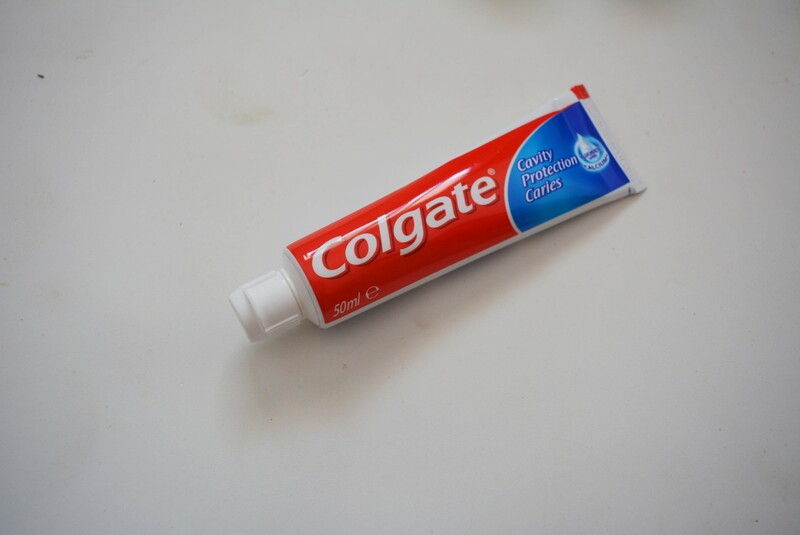 If this isn’t the sweetest little toothpaste you have ever seen, are you okay?